It’s good to have a purpose… a reasoning behind publishing content on the web. Some do it for entertainment purposes, right? Others for teaching others (How-To’s). Without this focus, then why do it? I started the aspkin.com blog long ago to be my personal notepad (a secret static HTML site), to jot down my ideas, cool things I discovered, things that I usually wrote down on my computer and forgot about. I was tired of writing stuff down and losing it.. I wanted a place to store my thoughts, and thus aspkin.com was born. And with that my mini How-to guides were born.. I’d have a problem, figure out the solution and blog about it. I guess I would be a teaching, solution driven blogger. I solve problems. Those who solve problems make money I later found out. And thus eBay Stealth, Amazon Ghost, AutoBlogBook and SixFigureBoss were born. All started from this blog by solving other people’s problem. I have written actual books because of this blog, a real book you can hold in your hand. It’s my platform that will be around forever. It’s a platform I control. While social media has made things easier for the masses both on publishing content and connecting with others, blogs are still going strong and carry a lot of weight. If you were a blogger what would you blog about? At one time I had a Weight Loss blog, a journal really where everyday I would blog about my progress in losing weight. The blog was a HUGE success in it’s goal, my weight loss. I lost weight! It was motivating. It kept in my check and because it was online, kept me accountable to my peers. Whether your aim is simply to jot down notes (like how I got started), teach others something cool or even blog about losing weight, do it! Sharing your story online is easier than ever. I suggest Namecheap.com, you can’t go wrong with these guys. Go for a brand name, something vague.. make a nickname you use online.. something cool. The great thing about WordPress is it can be more than a blog… heck, I use WordPress for 90% of my websites, and they’re ALL different. I have Membership websites, Sales Pages, Squeeze Pages and more. WordPress is awesome! Making Money Online with SixFigureBoss! The past several months have been interesting… LOTS of learning and implementing new ideas. I built a WordPress theme from scratch last weekend (first time), built several new Sales Pages, Squeeze Pages, Membership websites and created hundreds of pages of content for my other projects (including video content). There has been a huge focus on growing new businesses and building out existing ones… I could use a full time Marketer on my team. I had some extra time yesterday so I added a new comment plugin to the blog (Disqus) which I like a lot because of the community feel it brings. I cleaned up the front end (index page), added a new cache system and a few other tweaks. I like the aspkin blog again! I created a new section awhile back called, Make Money, and it’s still there. And I was starting to build out that section and then I realized something… I could expand on it greatly and create a step-by-step guide on making money online, and so that’s what I did! I created SixFigureBoss.com! A whole website dedicated to showing a person step-by-step HOW to make money online. 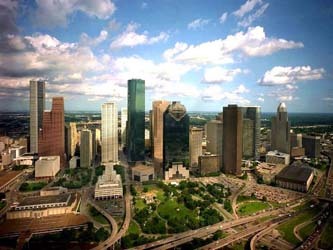 Go there and enter your email address to get started. And it’s not just another Affiliate ‘How To’ guide, like a lot of marketers put out… rather show you how to create your own products: eBooks, Membership Websites, Virtual Products and even services which bring in recurring income. Isn’t that awesome? It’s been a big focus of mine and continues to be a focus as it’s awesome project. It’s something I can sink my teeth into and teach others how to make money online by creating their OWN business. First off what is dirty SEO? From my perspective, dirty SEO involves on-site keyword stuffing, low quality content (including duplicate content), over-optimized titles, internal link spam and direct linking same page content. 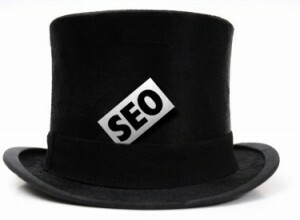 This is just basic on-site dirty SEO. There are tons of other methods people use to try and game the search engines that have worked well in the past. I have tried a lot of these methods myself and for a time, it did its job. The thing is, something that works today, might not work 6 months from now. Amazon Suspension Guide – Amazon Ghost! After many months of researching, testing new strategies and learning new tips I have finally completed the Ultimate Amazon Suspension guide – Amazon Ghost! 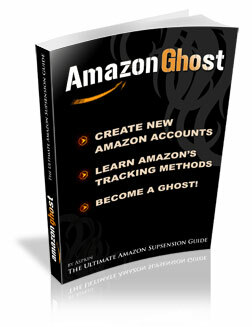 With Amazon Ghost I detail the exact steps you need to take in order to create solid Amazon seller accounts without becoming linked and shut down again. 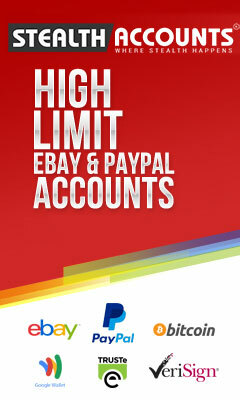 I detail everything you need to easily create new seller accounts, from browser fingerprints to personal account details. I show you how Amazon tracks your every move, what you can do about it and how you can not only future proof your accounts but make sure you NEVER get linked and shut down again. Even if you don’t know anything about computers, you will be able to follow Amazon Ghost and get past your Amazon suspension. Stop wasting time trying to figure out how you can get past your amazon suspension, it will take you months of trial & error, trust me. 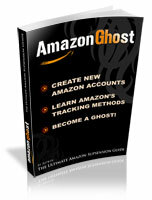 If you read eBay Stealth, then you know what you’re in for with Amazon Ghost. My guide is easy to read and step-by-step to make things as easy as possible for you. Don’t get me wrong, Amazon is very advanced compared to eBay and PayPal, but with our help I’m positive you’ll be back to selling in no time. Thinking About Starting An Online Business? Are you thinking about starting an online business? You want to get away from the online marketplaces and start focusing on your own website? Well you’re in luck! Starting a website and building it is easier then you think. First things first you need is a domain name! When you first begin your domain name search, it helps to have 5 terms or phrases in mind that best describe the domain you’re seeking. Once you have this list, you can start to pair them or add prefixes & suffixes to create good domain ideas. For example, if you’re launching a Bean Bag related domain, you might start with words like, â€œbean bag, chair, sac, rocker, lounger” then play around until you can find a good match. If a person is surfing around looking for a website, and they know its name, most people will try widget.com, before widget.net or .org, etc. So for the website owner who wants their site to be found, the rule is: if at all possible, get a .com domain name. Trust me on this; itâ€™s a must if you want a long term successful business. If a domain name requires considerable attention to type correctly, due to spelling, length or the use of un-memorable words or sounds, you’ve lost a good portion of your branding and marketing value. I’ve even heard usability folks tout the value of having the letters include easy-to-type letters (which I interpret as avoiding “q,” “z,” “x,” “c,” and “p”). Make sure it passes the phone test, if you were to say the domain name of your website to a friend over the phone, would your friend be able to spell it correctly the first time without your having to spell it for them? If not, youâ€™ve failed the phone test and should likely try a different domain name. Also, be careful about double letters. Take CyberRodeo, for example. Their domain uses a double R, as you might expect, but there is an uncertainty there. The two Râ€™s together look a bit strange if written without capitalization, and a good name will not force the user to assume anything about the name. If you must have a double letter, the best solution is to buy both versions of the domain. Once you select a domain you want to use, go to NameCheap and register your name ASAP! NameCheap is a well established trusted domain register and web host. I use them for a lot of my domains. Once you’ve done that, you’re ready for web hosting and I’ll talk about that with my next post!